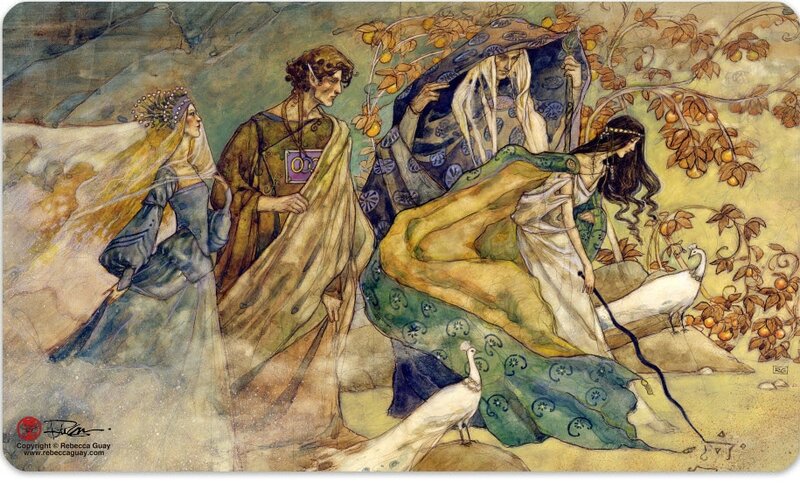 Each of the M:TG playmats below is hand signed by Rebecca Guay herself and the flat price includes domestic shipping and all taxes. 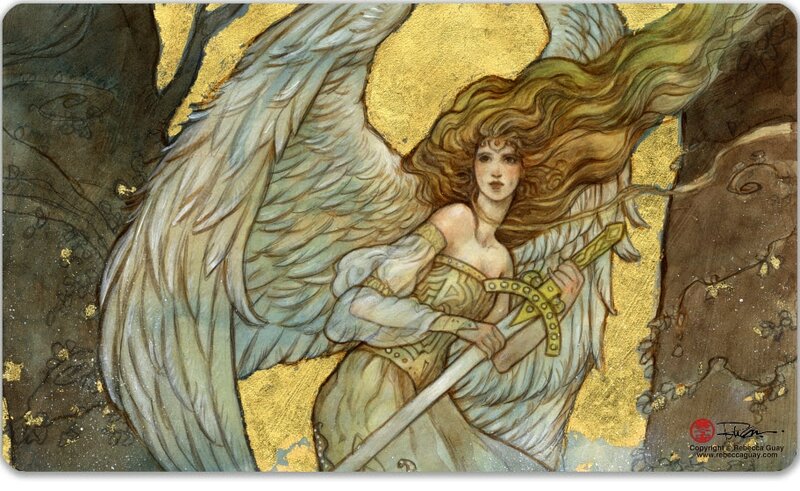 Please note that Wizards of the Coast retains the copyright for all M:TG artwork, We are only able to place bulk orders for playmats through Ultra Pro and according to their specifications. 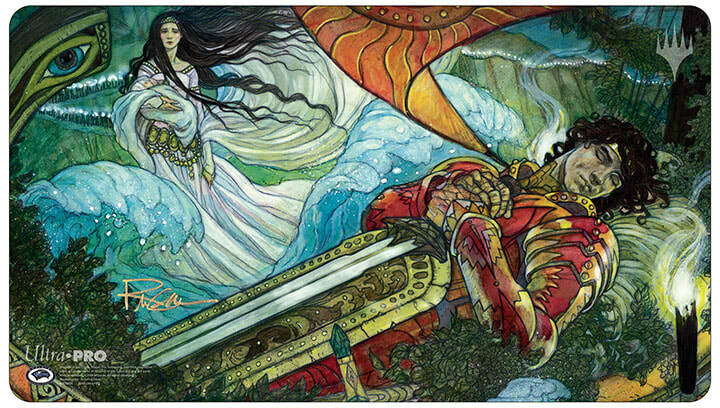 As such, all playmats are required to have the branding shown below. 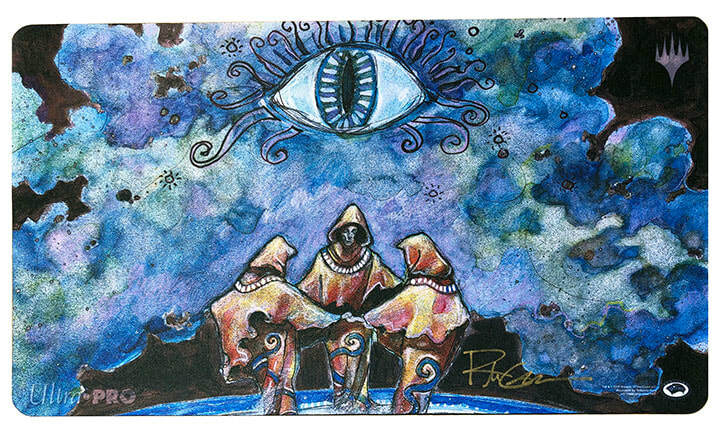 Please note these playmats are NOT hand signed, but do have a printed signature. 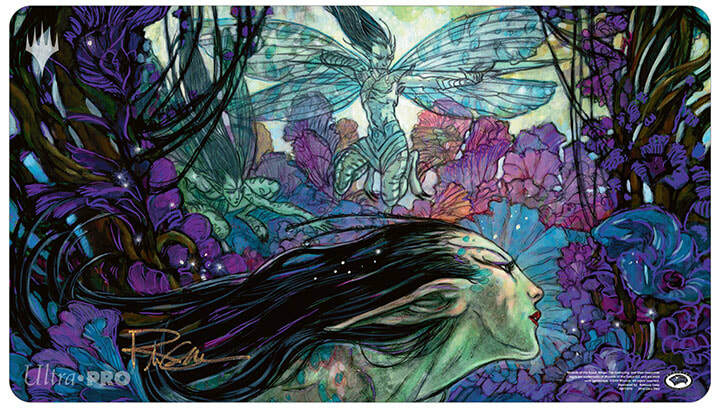 These playmats feature Rebecca's personal artwork and are individually hand pressed. ​Once a playmat has had enough requests, we can place a bulk order!